Use this guide to deploy and configure Virto Commerce using Docker. 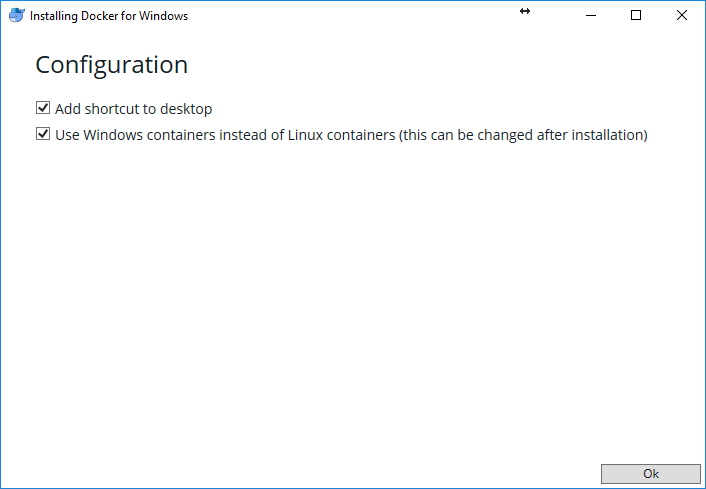 Make sure you have Docker running using Windows Containers (storefront can run in linux environment, however platform still requires windows to run). This will download all dependencies and start 3 instances (storefront, admin and sql express). 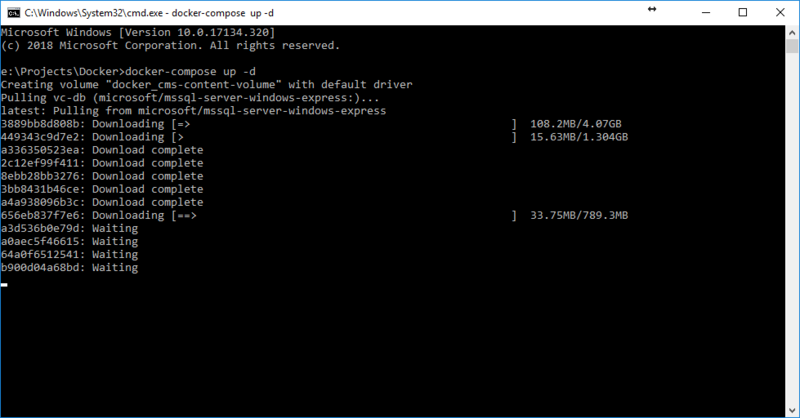 Note: make sure to run "docker-compose pull" to get the latest version of the docker images from the registry if you already ran docker before. Once images are started, open the Backend Administration Console - http://localhost:8090 and complete installation by following simple wizards (during these steps, platform will download default modules and give you opportunity to configure sample data, make sure to select postpone when asked to generate new API key or storefront won't work correctly). After backend setup is completed, you can open Storefront - http://localhost:8080 and browse stores. Note: you can change mapped addresses inside docker-compose.yml.